I passed by Bottega at 1729 Maryland Avenue several times before I realized it was a restaurant. 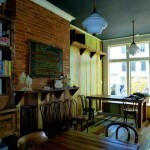 It’s not that it doesn’t look like a restaurant – it does. It’s just located in a place where you wouldn’t expect one. It is directly across the street from what was, or maybe still is, the Maryland Community Resource Center, and a block from the new Bolt Bus stop. So in spite of screaming “I’m a restaurant,” I ignored it until The Baltimore Sun penned its article. With an epicurean lexicon limited to “mmmmm” or “didn’t care for it,” I’m no food critic. So this article is not about the food. It’s probably not even about the restaurant. It’s more about the idea of the restaurant – the idea of a restaurant in the 1700 block of Maryland Avenue; the idea of a micro restaurant in the 1700 block of Maryland. Bottega can only accommodate 20 or so diners, so it’s very intimate; you’ll undoubtedly get to know people you didn’t arrive with. 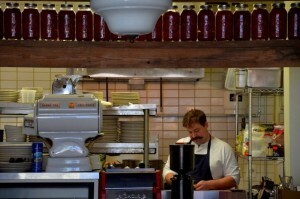 Woodberry Kitchen ‘university’ alum brother-in-law Sandy as chef, it would appear everything just fell into place. I’m sure it was harder than I described. Nothing is as simple as it seems, especially when you pull it off. The fact is, Bottega is open and getting mostly 5s from Yelpers. 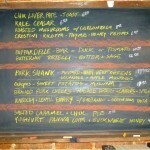 When I asked about reservations, Adrien said he was booked two weeks out, Wednesday through Saturday. He just added Tuesday to the line-up. All trends start with a first. 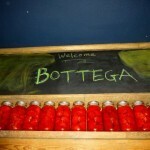 I hope others see Bottega and realize that starting small and sometimes staying small can work. And that the traditional commercial corridors are not always necessary for success. There’s not much room for anything else in the 1700 block of Saint Paul, but the 1800 block looks available. Not to be greedy, but a French bakery would be nice.